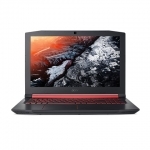 Buy Acer Notebooks & Laptops in NZ. Shop online for the best NZ prices & reviews on Acer Home, Business, Windows 8, Touch Screen & Gaming Laptops & Ultrabooks. Buy models including the Acer Aspire & Travel Mate. Acer C731E 11.6 Inch N3160 1.60Ghz 4GB RAM 16GB SSD Chromebook Rugged Laptop + 3 Year Warranty! 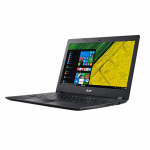 Acer TravelMate P648M 14 Inch i5-7200u 3.1GHz 8GB RAM 256GB SSD Laptop with Windows 10 Pro + 3 Year Warranty! Acer TravelMate X349 14 Inch Full HD i7-7500U 3.5GHz 8GB RAM 512GB SSD Ultrabook Laptop with Windows 10 Pro + 4 Year Onsite Warranty!